Most owners, sales leaders and marketing people in the payroll industry don’t have a formal marketing budget. If you’re in the same camp and would like to formalize your marketing efforts, I have listed below the most common ways to create a marketing budget. Step 1: Determine Your Sales Goals. Before you go down the path of creating a marketing budget, you should first establish your sales goals. Doing so will go a long way in helping you define the needed tactical marketing campaigns. More sales leads from their database of prospects. More referrals from their database of clients. More referrals from their database of referral partners. If these are also your goals, I highly suggest defining the tactical plans that you want to implement. A Sales Follow-Up Plan - A sales follow-up plan (that is monitored by a sales leader) is your best bet on capturing a lead post a marketing campaign. How You Will Build A Database Of Your Clients, Prospects And Referral Partners – If you don’t have a strategy in place that dictates and monitors the building of your databases, your marketing campaigns will yield little to no results. The Buying Triggers Of Prospects And Referral Partners – Does the person doing your marketing know what the top buying triggers are for a prospect or referral partner? If not, your marketing messages will not resonate with a reader. If you want to greatly improve your marketing results, hire a professional copywriter. By the way, all experts agree that a written plan of action is vital component to hitting a goal(s). If you want a shortcut to creating a marketing and sales plan, click here to request our 11-page payroll service strategy template. Step 2. 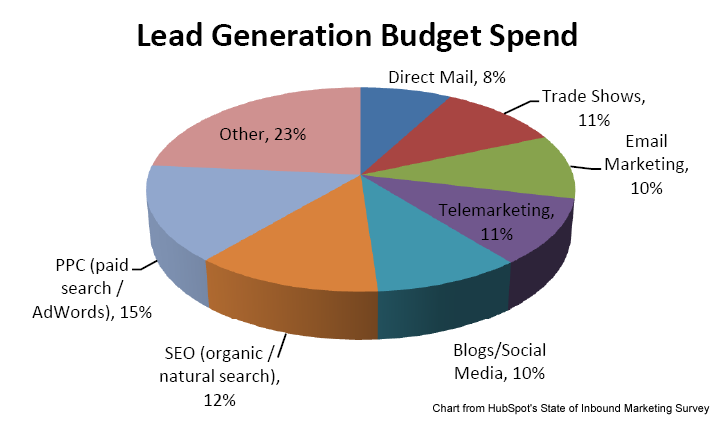 How To Create A Marketing Budget. Percentage Of Gross (Or Net) Revenue – Many owners talk about a percentage of revenue but few allocate an exact number. Should you choose this approach; expect to spend 2.5% to 15% of your gross sales. Net is another story altogether. Again, a lot will depend on your objectives. Percentage Of A Client’s Life-Time-Value – This method requires a tad more information, but results in a more realistic expenditure because the budget is based on the profit/sales of a new payroll client being acquired. Whatever You Can Afford To Spend – This is a favorite in the payroll industry as most owners look at their cash flow and say, “I have X dollars in the bank so I can spend that on a few marketing campaigns.” Unless you factor more information into a budgeting decision, this is just a high-stakes gamble. Here’s A Simple Budgeting Formula. Let’s assume your average payroll client generates $1,750 a year in payroll processing revenue and stays on as a client for 7 years. That said, one client would generate $12,250 in life-time revenue. If your 12 month goal is 100 new payroll clients, your life-time revenue from them would be $1,225,000. That said, how much are you willing to spend to acquire $1,225,000 in added revenue. Executive Summary: Your optimum marketing budget should be based on the number of new payroll clients needed to achieve your sales goal x a client’s life-time value. Once you know the “potential” revenue from this goal, you can reverse engineer an estimated marketing budget. When developing a marketing budget there is a lot to consider. That being said, if you want to tap into my 25,000+ hours of industry experience, click here to schedule a FREE 20-minute consultation with me. Glenn Fallavollita is the President of SellMorePayroll.com, a Division of Drip Marketing, Inc. He founded Drip Marketing, Inc. in 2002 and serves as CEO, lead copywriter and strategist. He is also instrumental in developing the curriculum, format and expansion of Drip University - the training arm of Drip Marketing, Inc. and SellMorePayroll.com. His work, insight and creative talent has been the catalyst for the delivery of more than 35 million e-mail campaigns on behalf of his clients.